Asia vocalist and bassist John Wetton has been sidelined from performing for the next few months as he continues treatment in his three-year battle with cancer. The music veteran, who underwent major surgery to remove a malignant mass from his abdomen in early 2015, updated fans on his health status via social media on Wednesday. 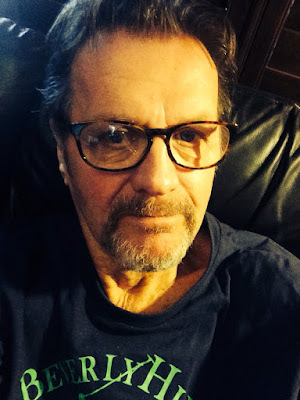 “I am disappointed to announce that, on the advice of my medical team, I have to withdraw from Cruise to the Edge, and from the first leg of the Journey tour, March 15 – April 4,” Wetton writes. “I will soon be starting a new medical chemotherapy procedure, under which I will not be able to fly. I am grateful to the promoters of the cruise. I wish them pleasant sailing and I know my friends on the cruise, both artists and fans, will have a ball on the ocean wave, I will be with you all in spirit. Sherwood previously filled in for Yes bassist Chris Squire when he underwent treatment for leukemia before his passing in 2015, and has since joined the progressive rock pioneers full-time. The Yes-hosted Cruise To The Edge runs February 7-11 from Tampa, FL to Cozumel, Mexico and will feature performances from Kansas, Steve Hackett, Mike Portnoy and Patrick Moraz, among others. Last month, Asia announced plans to join Journey for a dozen US concerts starting in Yakima, WA on March 15.